Camtrays are also space and time efficient since they can be stacked and feature Dri-Stak separators to dry quickly after washing. Attractive appearance, durable construction and a wide selection of colors allow the Camtray to continue as the industry standard. With high-impact fiberglass construction and aluminum reinforced edges, Camtrays perform in the most demanding environments. 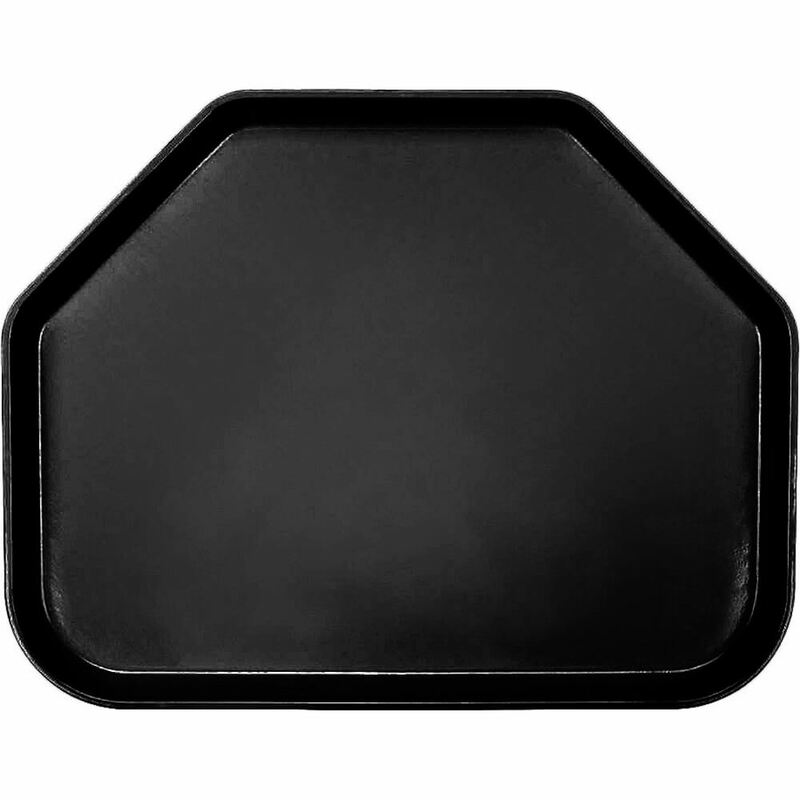 See Similar Products in: Trapezoid Trays, 14" X 18"
Save tabletop space and increase seating capacity in busy cafeterias by using Trapezoid Camtrays. 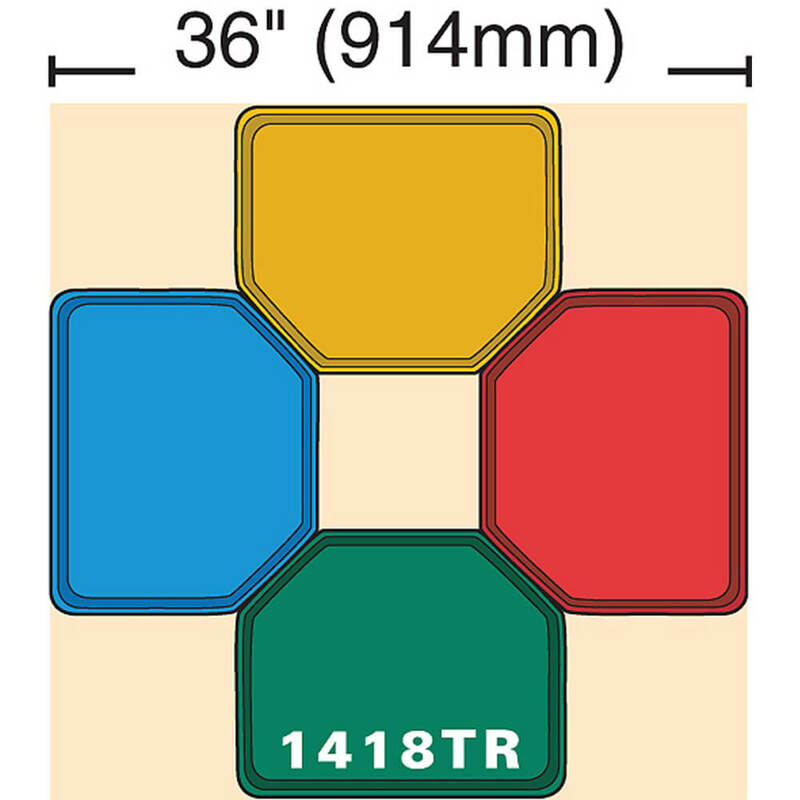 Four people can sit comfortably at smaller tables as four of these trays will fit on the top of a 36 inch (91,44 cm) square table with room in the center for condiments. Attractive appearance, durable construction and a wide selection of colors allow the Camtray to continue as the industry standard. With high-impact fiberglass construction and aluminum reinforced edges, Camtrays perform in the most demanding environments. The Camtray's proven performance is backed by a five year guarantee against breakage. Color and design are permanently molded-in for a long lasting appearance. Stain, odor and scratch resistant. Lightweight for easy carrying. Camtrays are also space and time efficient since they can be stacked and feature Dri-Stak separators to dry quickly after washing. Special order item not carried in stock, non-returnable. One case order minimum.